Nowadays, people are not interested in making sweets at home. The reason may be the hectic lifestyle, urbanization which lead to reduced compound area/ flat accommodation, dine out habits etc. Many people due this unhealthy food habits are suffering from various health issues. No more worries, MM Mithaiwala online Mithai taste the same as the ones you prepare at home and also is as healthy as your Mom makes it for you. Staffs at MM Mithaiwala are a group of professionals with hands on experience in making delicious White Mawa Barfis. The very skilled chefs here mix the ingredients in a traditional way of Mawa Barfi preparation, keeping the same taste for generations. Our forefathers handed down this great taste to us and we are passing it to you. 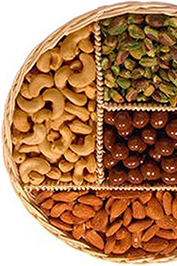 MM Mithaiwala online Indian sweet store offers you Yummilicious White Mawa Barfis relatively at a lower price without any compromise in nutrition. High quality fresh cow’s milk, 100 % pure ghee, almonds, pistachio and sugar form the base of Mawa Barfi. 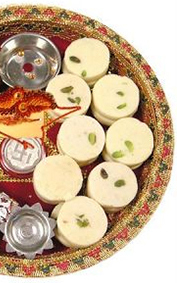 MM Mithaiwala online Mithai store brings to light a wide range of Indian sweets with a very lower price range and with best quality. We deliver orders without any delay. The fast delivery of orders is achieved by the team work of fast packing by experts and a large group of trained delivery boys. We deliver your orders freely within minutes at your doorstep. We are within your arm’s reach, just dial us or buy sweets online through our online Indian sweet shop. We are always there at your service.